Visingsö is an island in the lake of Vättern in Sweden. 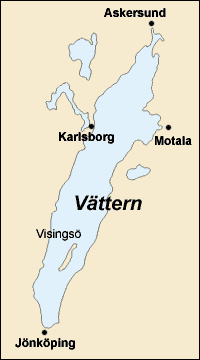 Since 1971, it is a part of Jönköping Municipality, after having been an own municipality until that year. The island is connected to the mainland with ferryboats. This page was last changed on 31 August 2017, at 14:35.